This is an accolade awarded annually to Canada's male athlete of the year. 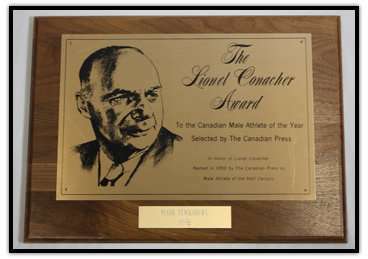 This award is presented by Canadian Press (CP) and is named after "Lionel Conacher," a Canadian multi-sport champion. A plaque is awarded to the winner. 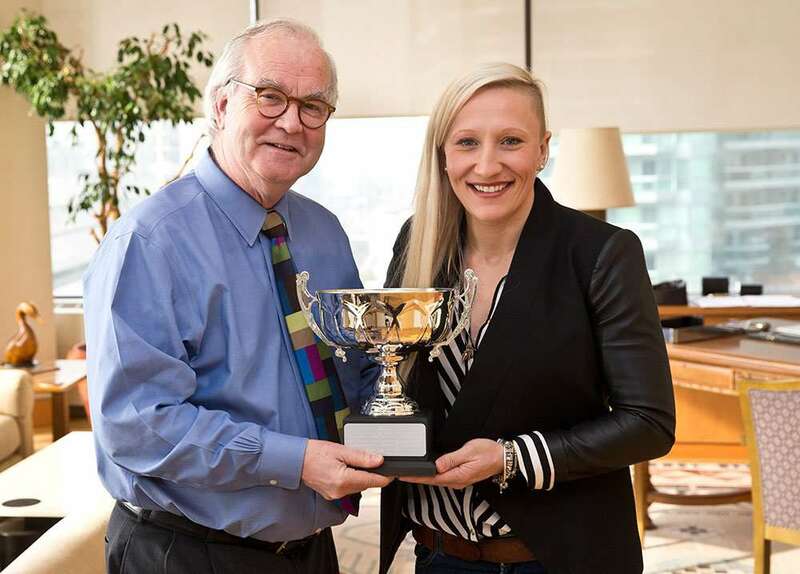 This award is presented annually by the Canadian Press (CP) to the best Canadian female athlete of the year. It is named after "Bobbie Rosenfeld," an all-rounder athlete & Olympic track & field champion. The winner is presented with a plaque. This award is presented annually by the Canadian Press (CP) which conducts a poll to determine the best Canadian sports team of the year. 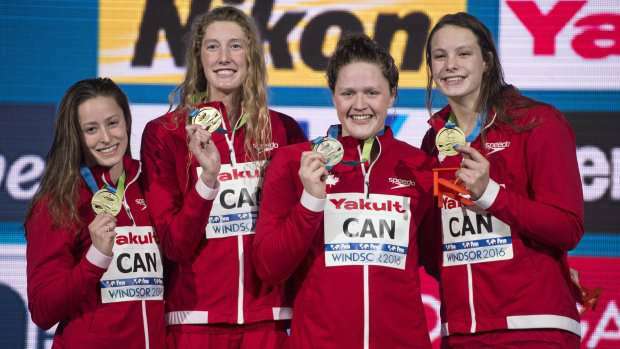 It is an award presented annually to Canada's top athlete either professional or amateur. This award is presented in honor of "Lou Marsh," a prominent Canadian athlete, referee, and former sports editor of the Toronto Star. The winner is awarded a black marble trophy standing around 75 cm high. A panel of journalists from across the country vote for the nominees.